White blood cell. Coloured transmission electron micrograph (TEM) of an eosinophil (white blood cell), part of the body's immune system. The cell's nucleus (black) contains chromatin (green). 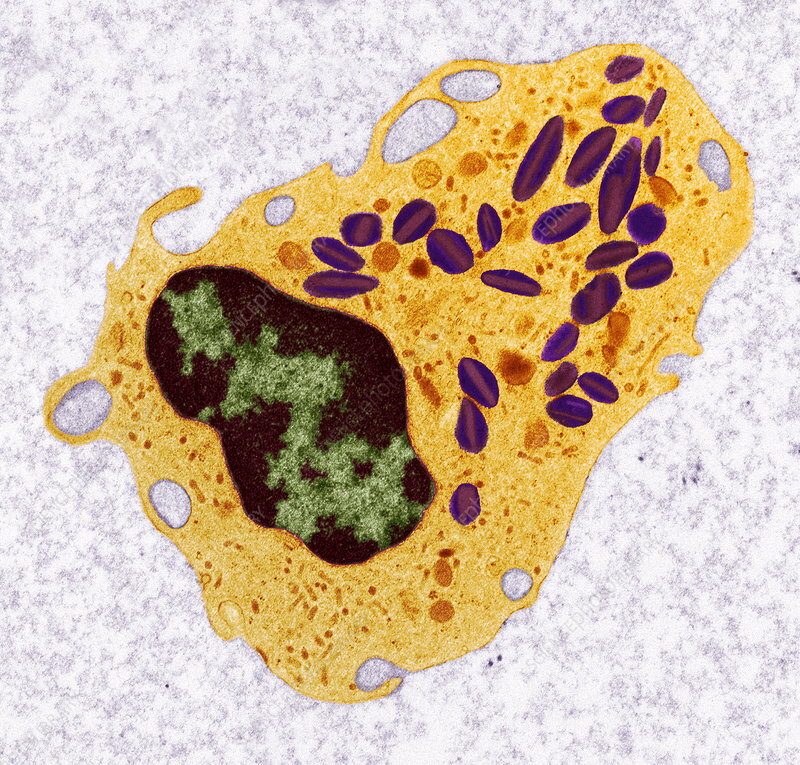 In the cell's cytoplasm (yellow) are many enzyme-containing granules (purple), used to destroy invading organisms. Eosinophils are involved in the body's allergic response and also help to defend the body from invading parasites. They are capable of ingesting and destroying foreign particles by a process known as phagocytosis. Magnification: x5000 when printed 10 centimetres wide.